Internet is part of our lives. Undoubtedly, it useful in several areas and permits to save valuable time, stay in touch with anyone anywhere in the world and, of course, keeps us informed. But everything has a price, and Internet is no exception and, if we are not careful, the excessive use of the network might cause some cognitive problems that we would never have. Using the Internet to search information continually makes that we we doubt more and more of our memory. This is demonstrated by a study conducted by a group of psychologists from the University of California, who have discovered that the more we use the network to find information and encounter data, the less probabilities we will have to use our memory, even if it comes to trivial questions which we already know the answer or can find it by applying logical reasoning. This phenomenon has been dubbed “cognitive offloading” and refers to the fact that the Internet subtracts us memory gradually since the more we trust the data on the network, the less we trust in what we have learned or in the answers we can find thinking independently. This study was conducted in several phases, at first people were asked to answer a series of general knowledge questions of medium difficulty. Some of them were permitted access to the Internet while the rest were asked to resort exclusively to their memory. In a second phase, all participants were allowed to use the Internet, but the researchers made sure that the questions were very simple, so it was only necessary to rely on memory or apply common sense to find the answers. For example, one of the questions was: “Do all the countries of the world have flags with at least two colors?”. So it was observed that people who used the Internet in the first test, were also more likely to re-use the network to find the answers, instead of thinking, or to resort to their memory. However, the most interesting results occurred when the participants did not use the Internet. In that case, those who had resorted to the network, committed 30% of errors in more of their responses. Researchers also found that their answers were more impulsive and they thought less. On the contrary, those who began the experiment based on their memory from the first moment obtained the best results in the final test. This experiment tells us that indeed, the Internet has a major impact on our memory, and this is not exactly positive. 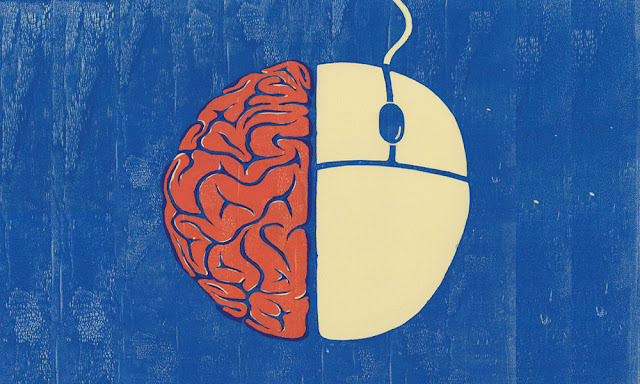 Of course, this is not the first study to evaluate the impact of the Internet on our memory. Previous researches conducted by Columbia University psychologists have found that students remembered less information when they knew they had easy access to the internet. In practice, instead of trying to understand and store the information, we simply rely on an external “hard disk”. However, the fact that we prefer to use an external “hard disk” is not the only problem. A study conducted at the University of California found that regular internet users show less activation in different areas of the brain during the reading of a text on the Internet, including areas related to short-term memory. This could indicate that the more we use the Internet, the less we store what we read, because we know that it will be available at any time. Moreover, the problem is that the short and long term memory are skills that must be continually exercised or terminate deteriorating. If we rely on an external “hard disk” our ability to recall information will be reduced more and more, and this can open the door to neurodegenerative diseases. The short-term memory, for example, is crucial for thought. The long-term memory is essential to preserve our identity. Only a few decades ago, when we couldn’t remembered the name of the protagonist of a film, we called our cinephile friend. Indeed, the tendency to distribute inside the groups the information has always existed, it is what is known as the “transactional memory system” and implies being fully aware that the knowledge to which we want to access is outside our memory, belongs to another person. But the immediacy that the Internet offers makes the barrier between what we know and what others know (in this case the network), it fades. The distinction between external and internal memory is getting weaker; that is to say that we confuse what we know with what we seek. Although this “confusión” may seem incredible, an experiment conducted at Yale University found that people who used the Internet to find answers to questions showed higher self-esteem about their cognitive performance. In fact, they identified well with statements such as “I have a good memory” or “I remember very well the details”. These results led the psychologists to believe that the barrier between internal and external memory, that one you meet on the Internet, is fading. When people look for information on the network have the illusion that the results depend on their skills. The problem, again, is that this illusion prevent us from developing our cognitive resources. Of course, the solution is not to stop using the Internet, which is a great tool, but use it rationally. Luckily, being aware of the effects of the cognitive offloading and, above all, trying to find other strategies to train our memory, will allow us to keep this ability over the years.